A recent Bayer MaterialScience project shows that the use of the company’s polyurethane infusion resins could significantly reduce cycle times for the manufacture of wind turbine blades. 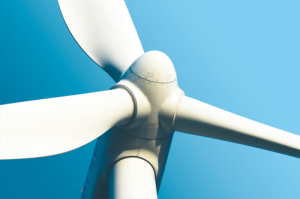 “The use of polyurethane resins could reduce the cycle time per blade from 16 to 24 hours currently to 7 to 8 hours, thus significantly increasing productivity,” reports Kim Harnow Klausen, head of the new Bayer MaterialScience global wind power competence centre, which is located in Otterup, Denmark. The faster cycle times are because polyurethane resins are more free-flowing than the epoxy resins and unsaturated polyester resins used now, Bayer reports. They spread better in the mould and can be processed more quickly, it says, and they also harden faster and under simplified conditions. Bayer MaterialScience is confident that automated manufacture of blades using robots will also be possible.